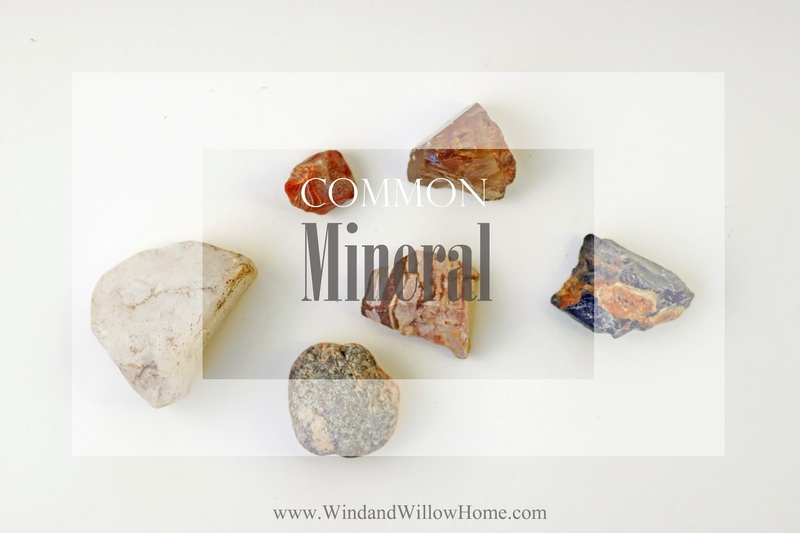 I would like to introduce you to my second Limited line COMMON MINERAL. 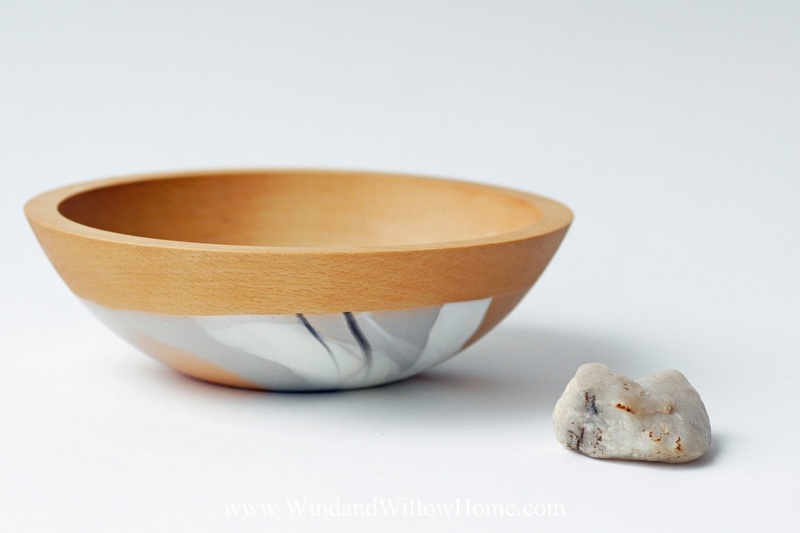 This beautiful group of bowls was inspired by the amazing rocks that you see below. Many of them were pieces that myself or my family picked up along the road on an outdoor adventure, others were found in our yard. 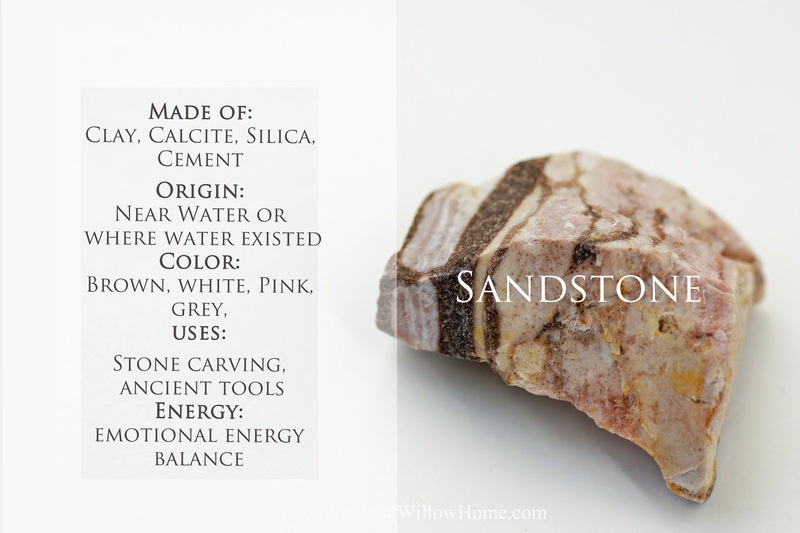 These are not precious stones, just some common minerals redily available but amazing and intricate none the less. 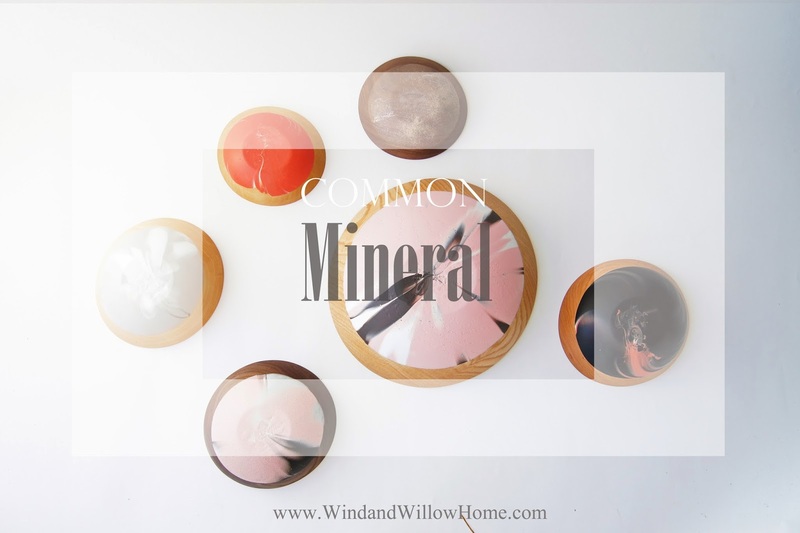 Each bowl has been made by carefully mixing rubber dip into colors an patterns that loosely represented each of the six minerals: Milky Quartz, Agate, Smoky Quartz, Slate, Sandstone and Granite. Unlike the first limited line Fresh Fruit, this line adorns bowls of 4 different wood species in 3 different sizes in addition to mini bowls. Enjoy! 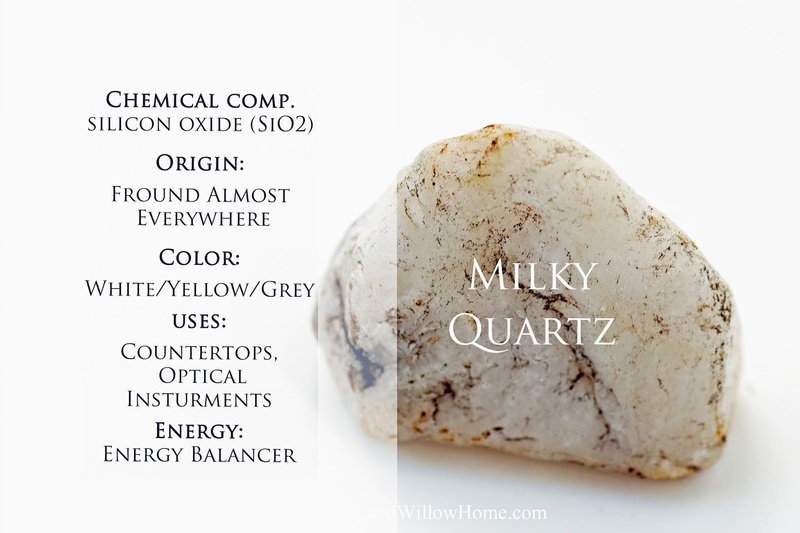 Milky quartz can be found just about everywhere. It is quite common. So common in fact, it is crushed up and use in composite countertops and for landscaping (often in commercial areas). It's an extremly hard stone only second to diamond. For me, it's beauty is found in its milky white color and simple yet contrasting black and brown grain. 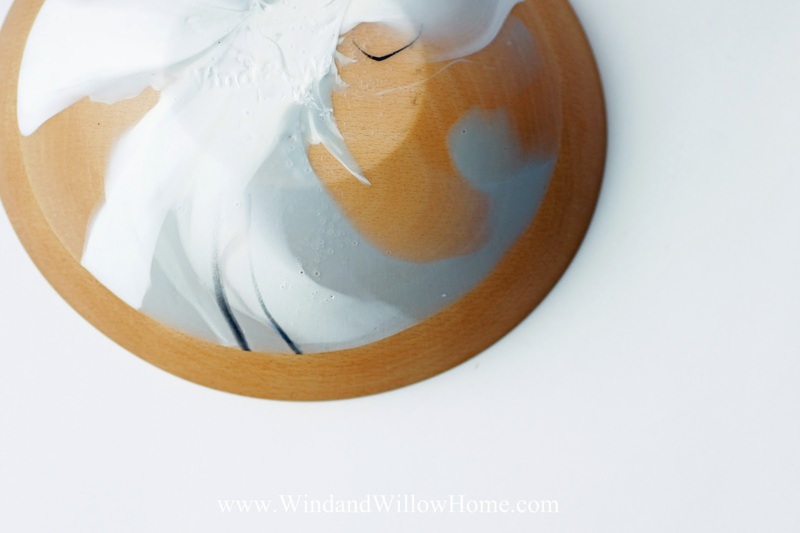 This Milky Quartz pattern adorns a 7" Solid Beech Bowl (10 available in this series). Intricate turns of White, Milky Grey/White and Black. 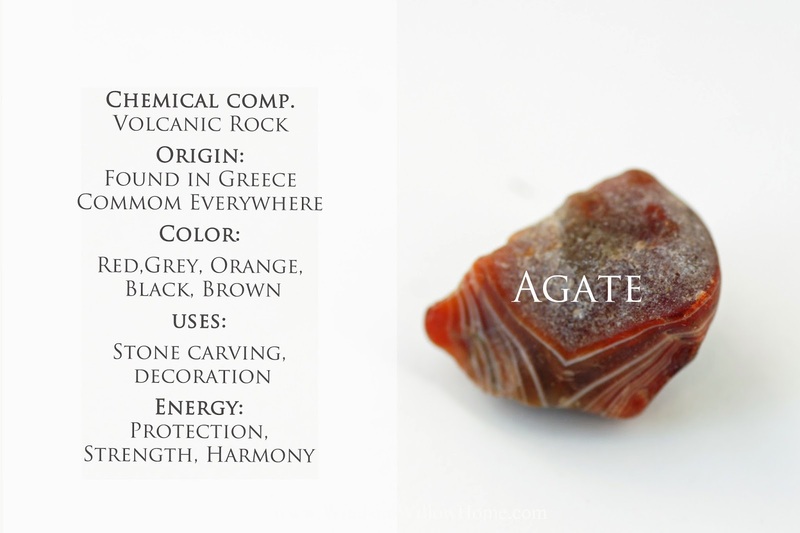 Agates have a special place in my heart. As a young girl I would spend days with family traversing the gravel pits and dirt roads hunting for agates big and small. Picking rocks large and small. Using a drop of spit to uncover their true beauty. Now my children are learning the joys of the hunt from their grandmother as our agate collections grow. 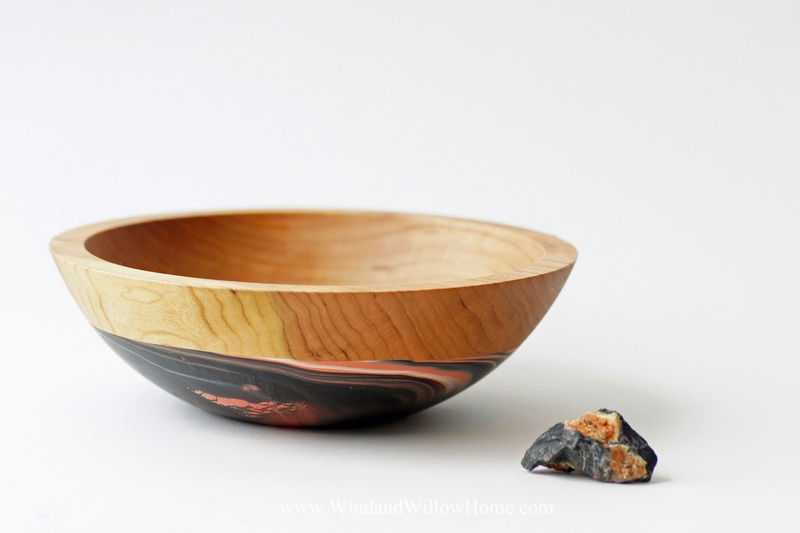 This Agate pattern adorns a 6" Solid Beech Bowl (10 available in this series). Bright Orangy-Red, Clear and veins of White replicate the unique beauty of this stone. Translucent and sparkly, this common mineral sparkles in the sun like a true crystal although much more common. 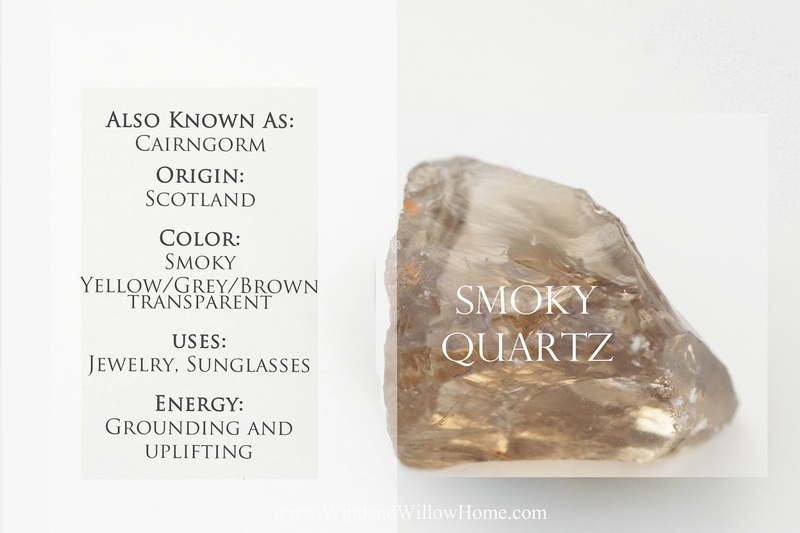 The warm modern smoky color is what draws me to this stunning stone. 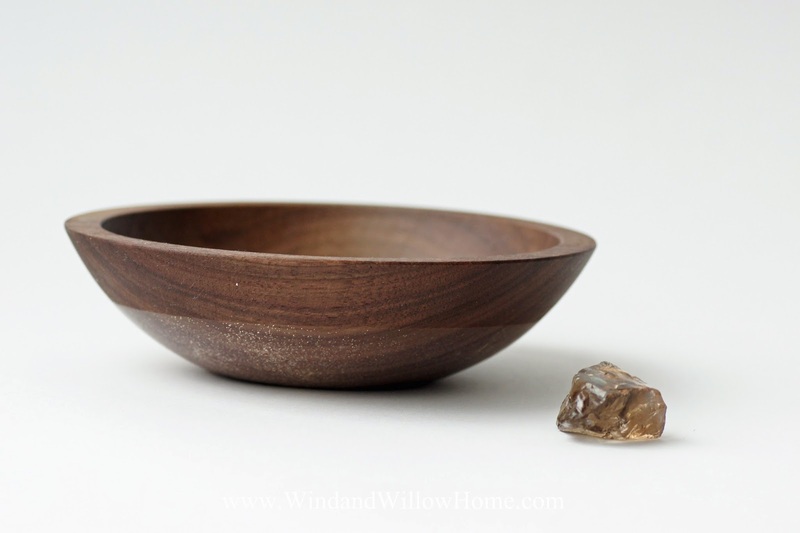 This Smoky Quartz pattern adorns a 6" Solid Walnut wood bowl (10 available in this series). Sparkling swirls of gold flow through the clear rubber dip enhancing the incredible depth of this rich Walnut wood. I am always drawn to sandstone for it's contrasting layers that seem to stack like layers of a cake, each telling a different story of the past. The colors are so earthy and warm, the perfect mix in my opinion. 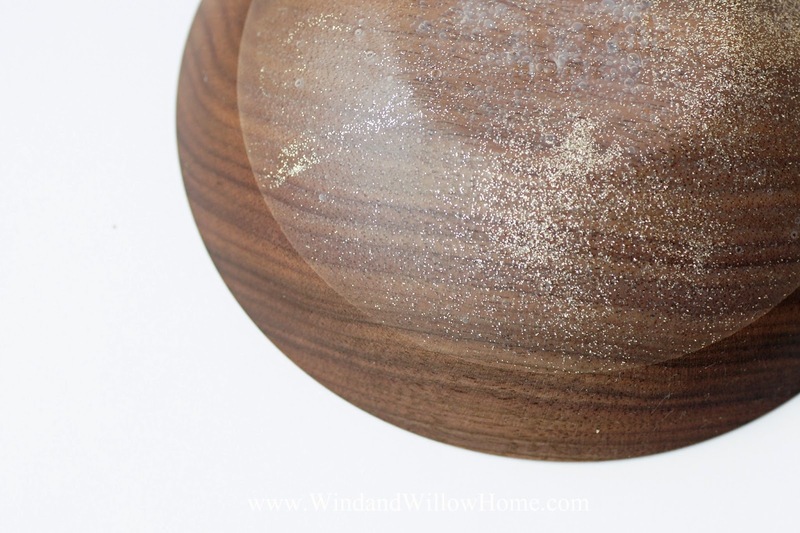 This Sandstone pattern adorns a 12" Solid Oak wood bowl (5 available in this series). 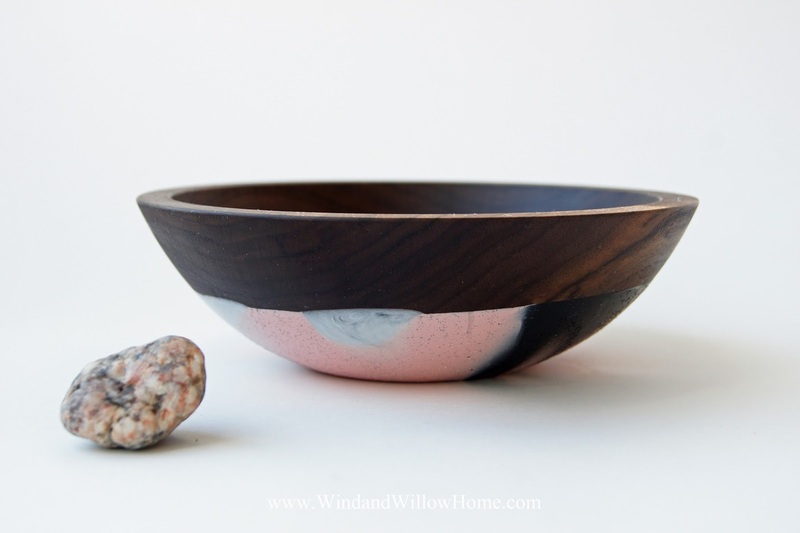 Contrasting streaks of chocolate brown and white cross this bowl of mostly pink. The golden Oak wood is bold in grain. Bold and beautiful, what more is there to say. 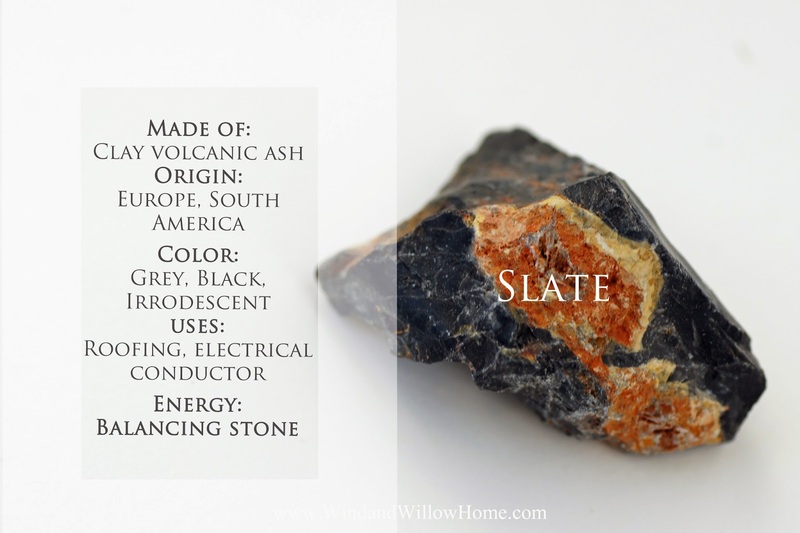 Slate is often used in a rustic atmosphere as it can be cut into thin sheets and used as flooring or roofing. 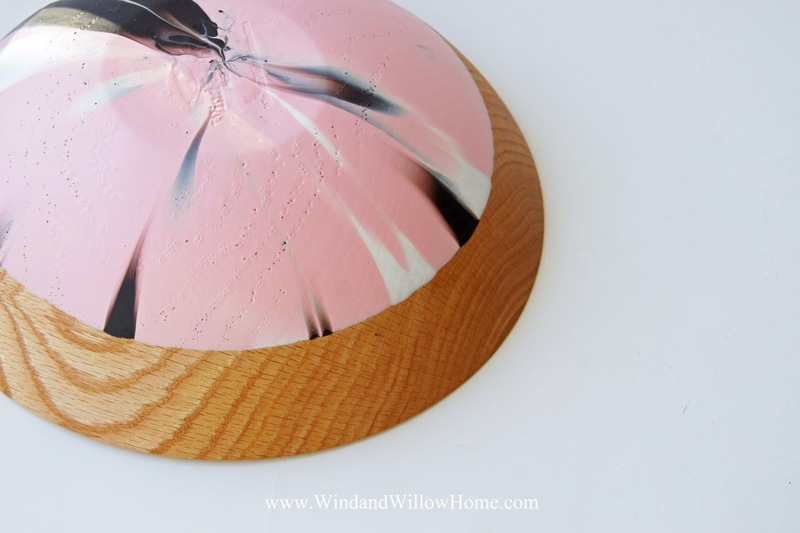 This Slate pattern adorns a 7" Solid Cherry wood bowl (10 available in this series). 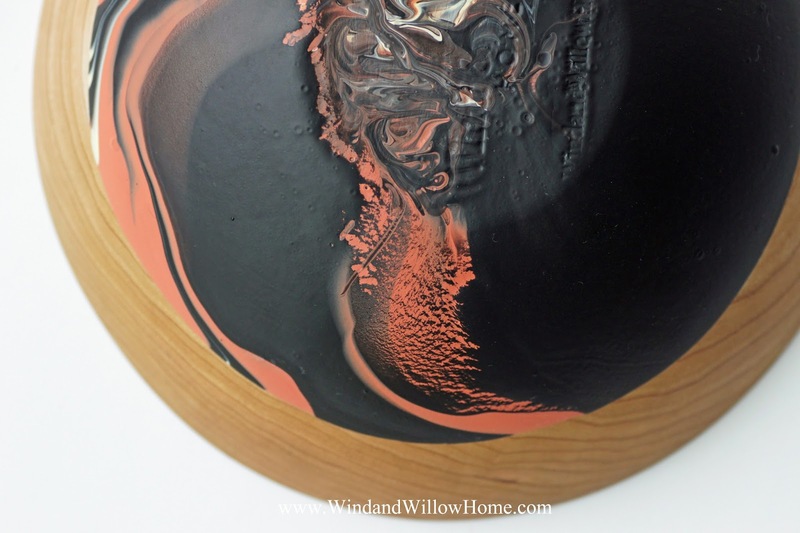 A bold black backdrop proves to highlight the random swirls of rust and gold. 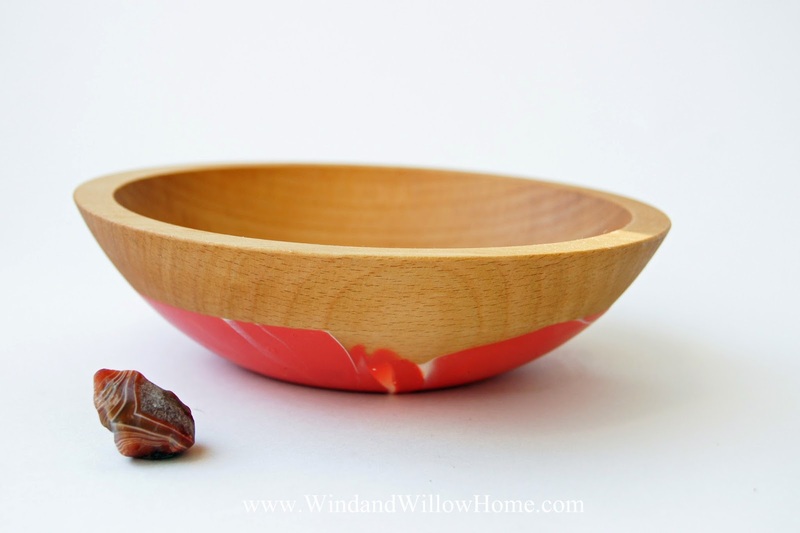 The Cherry bowl adds to the refined qualities of this stunning piece. 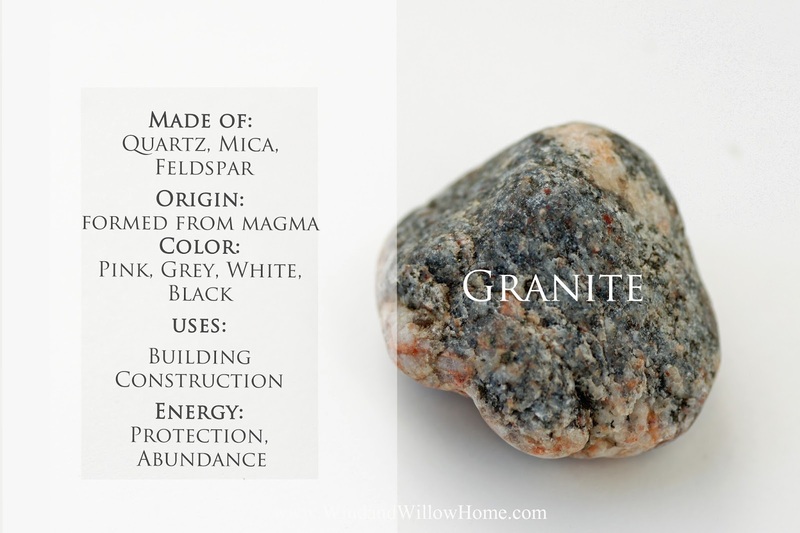 Well known for its use as countertops, headstones and building facades, granite is extremely hard due to its high Quartz content. It's beauty truly shines through once it has been polished and it's depth is discovered. 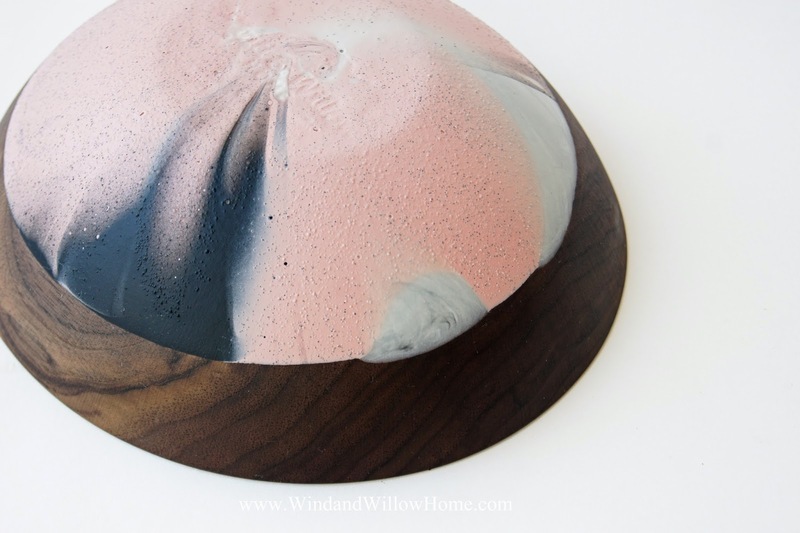 This Granite pattern adorns a 7" Solid Walnut wood bowl (10 available in this series). The textured rose color feels much like that of an unrefined stone. Swirls of milky grey, black and white give depth to the deep rich brown of the Walnut wood. 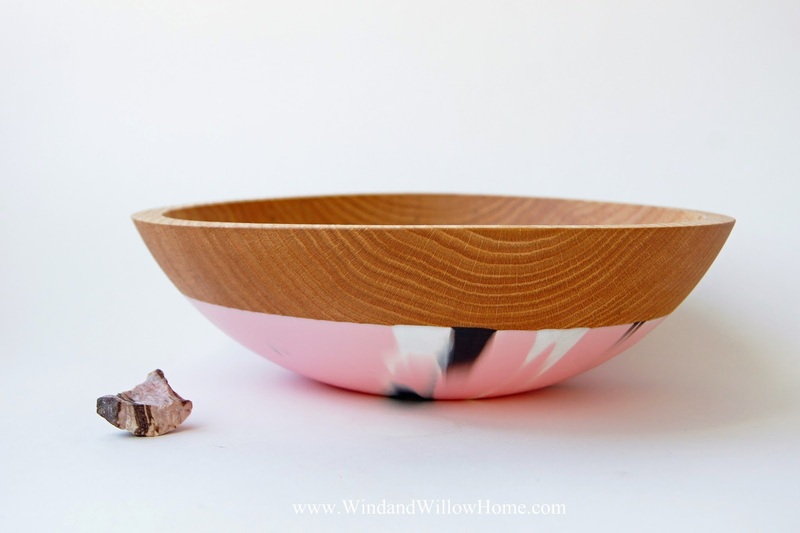 You can learn more about the details of each bowl and how to purchase here.